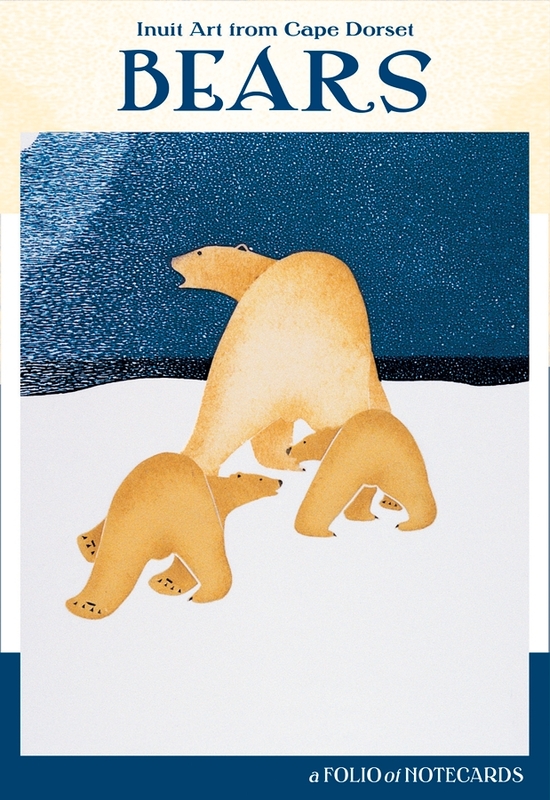 On southwestern Baffin Island in the Canadian Arctic Territory of Nunavut, the artists of Cape Dorset have been making prints since 1959. 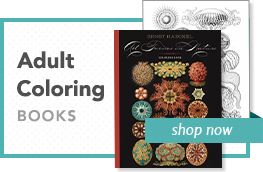 Diverse print media have been employed over the years, including linoblock, copper engraving, etching/aquatint, and woodcut, but the studios’ mainstays are stonecut and lithography. In stonecut, artists bring their drawings to the studio, where skilled printmakers transfer their work to the stone printing surface. Editions are limited to fifty hand-pulled original prints. The beauty of the collaborative process is highlighted in the lithography studio, where artists may work directly on the litho stone or plate, consulting with the printmakers through the proofing stage. The studios are active from the fall each year through late spring, when editioning is completed and the staff takes the summer off, making frequent trips to their traditional camping areas on the land. 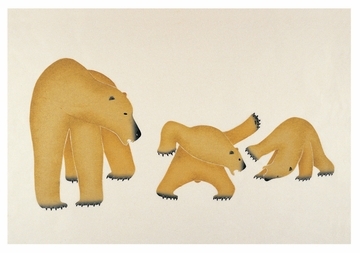 The images reproduced in this folio are by the well-known Inuit artist Kananginak Pootoogook (1935–2010). A respected community elder, Kananginak contributed his work to the Kinngait (pronounced “King-ite”) studios beginning with the first print collection released in 1959. 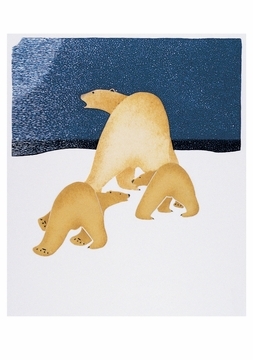 A keen observer of Arctic wildlife, he counted the polar bear as one of his favorite subjects.